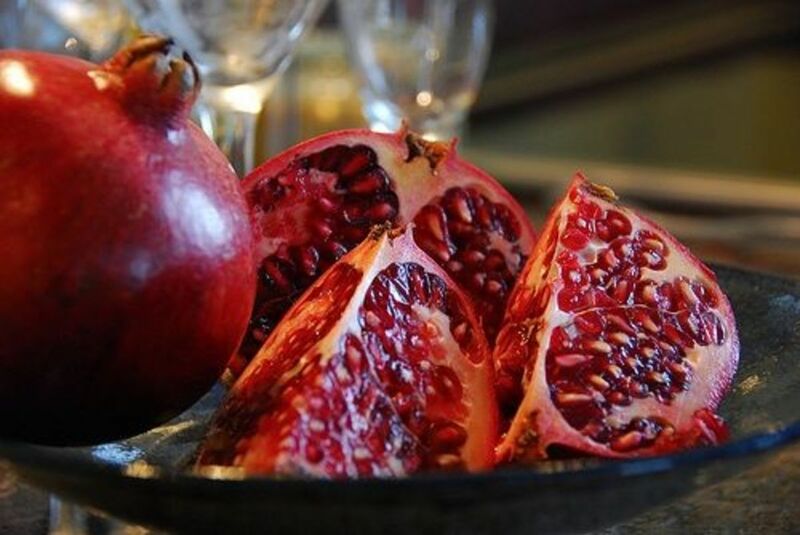 Pomegranates are gorgeous as well as delicious! 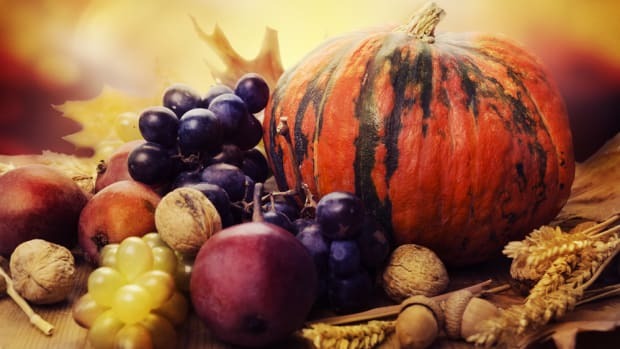 They’re used in fresh table displays for their rustic beauty, in drinks for their bright color and sweet/tart taste, and in salads for added crunch, color and flavor. But, do pomegranates remain a mystery to you? Don’t Pass Up Pomegranates this Season! They may seem mysterious – even dangerous – to you. You’ve probably seen them often (their seeds look like little scarlet jewels), but maybe have no idea how to clean and use them. Perhaps you’ve heard they can stain clothes if you’re not careful handling them (they do stain, so take note) and that they’re hard to peel. 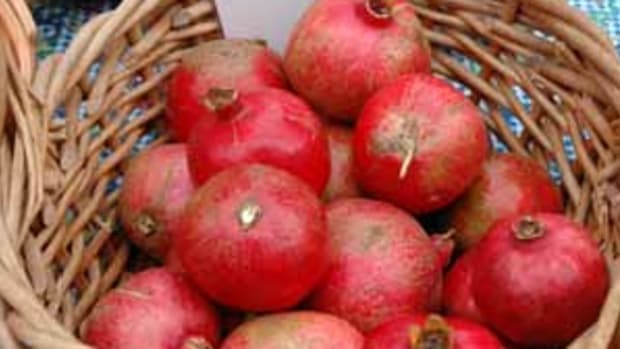 If you follow these few simple steps to cleaning a pomegranate, you’ll have no reason to forego this fantastic fruit. Along with their taste and beauty, they’re loaded with antioxidants, vitamin C and fiber, and are low in calories (half a cup of these yummy seeds has about 70 calories). Score the fruit in quarters from crown to stem. Take care not to slice into the fruit, just the skin. 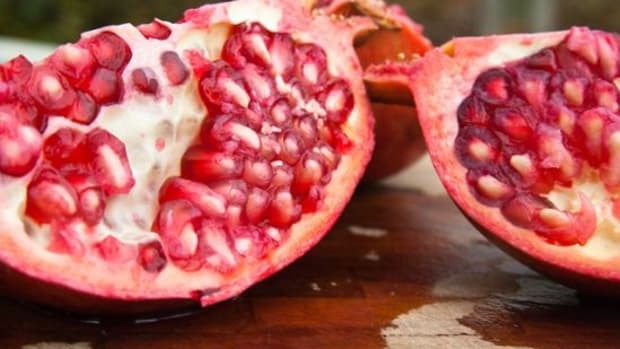 Submerge the pomegranate in water and begin to carefully break apart the fruit, separating the seeds (called arils) from the skin and white membrane (pith). The seeds will sink and the pith will float to the top of the water. Clear away the pith and drain the water with the seeds in a colander. Gently pat them dry and use as you’d like. 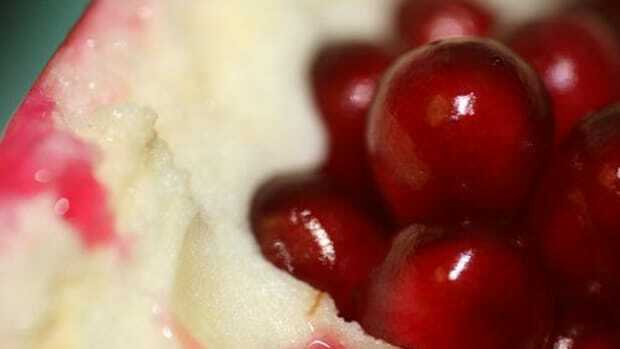 OA combines pears with pomegranates for an elegant, healthy and delicious dessert. Mixed together with cherries and persimmons, the pomegranates in this OA relish provide a sweet/tart flavor and a bit of crunch. 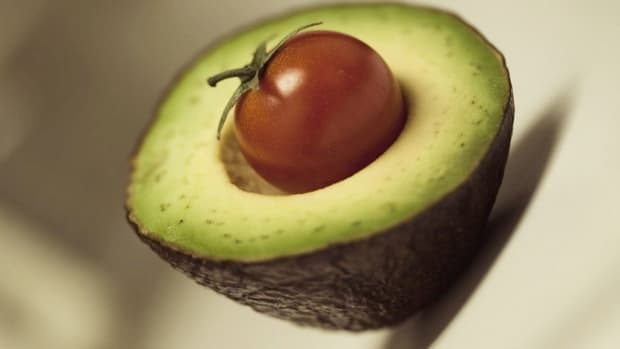 This makes a lovely holiday side dish. 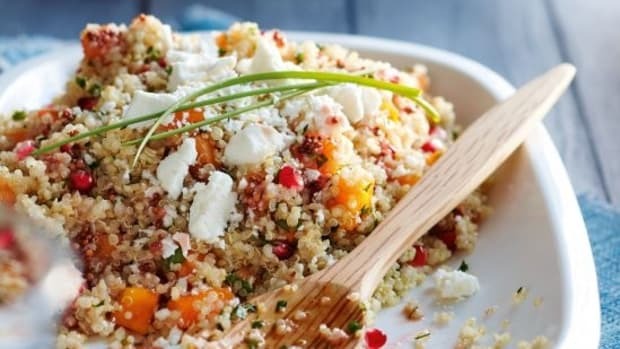 Pomegranates are full of flavor and gorgeous color and provide a lovely garnish to this OA salad. 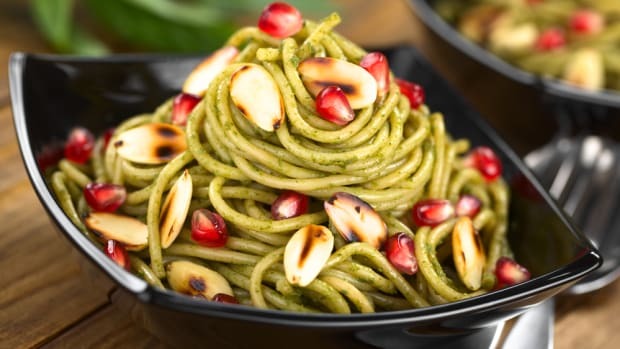 Perfect for a special dinner or as part of a light lunch, you’ll love this salad dotted with pomegranate seeds. This OA recipe calls for pomegranate juice as part of its delightful flavor for the meat’s marinade. Consider adding some pomegranate seeds to the risotto at the end of its cooking time. It would tie things together nicely. 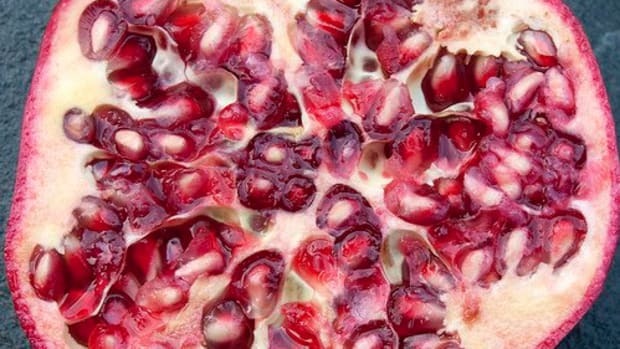 Now that the mystery has been revealed, consider the many ways to include pomegranates in your dishes. They won’t be around for too much longer (through January), so take advantage of this festive, delicious fruit!